My son is in the 6th grade. He has sensory processing disorders, executive functioning problems, and severe anxiety. 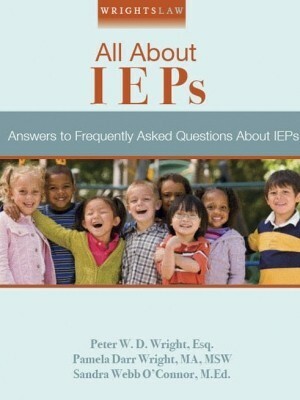 He had an IEP for emotional problems. When he takes medication, his anxiety is manageable. Because his medication is working, the school says he is no longer eligible for special education services. 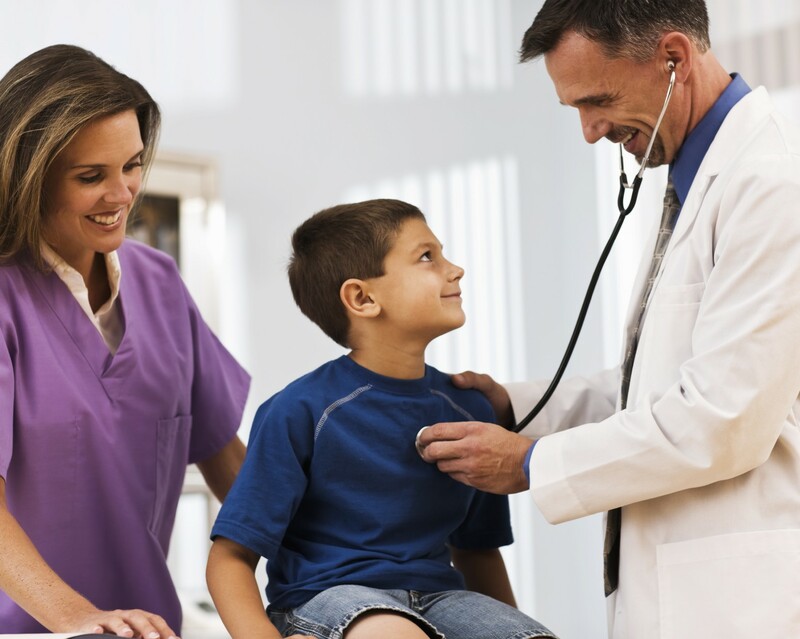 Does effective medication disqualify a child from special education eligibility? No. If a child takes medication, this does not disqualify the child from eligibility for special education services. In fact, his anxiety may be a symptom of the sensory processing disorders and executive functioning problems. Medication won’t cure these problems. Assume a child has diabetes. Her blood sugar levels fluctuate dramatically during the day, and this affects her ability to pay attention in class and learn. If she takes medication and her insulin levels stabilize, she can pay attention, concentrate and learn. Should this child be disqualified for special education because her medication is working for now? The children we discussed earlier have qualifying disabilities. The question that must be answered is this: Does the child need special education and related services because of the disability? When parents and school staff have different answers to this question, the seeds are sown for a major parent-school dispute. Many school personnel believe that if a child is not failing or struggling very hard, the child is not eligible for special ed services. This is incorrect and has never been correct. When a school team uses passing grades to make eligibility decisions, many children who should be found eligible are denied services. Terminating a child’s eligibility for special education because medication is effective is risky. It isn’t unusual for the effectiveness of medication to vary, or a formerly effective medication to stop working. If the school terminates a child’s eligibility because medication is “working,” and the medication stops working, then the child, family and school must start the eligibility process all over again – and this usually takes months, at a minimum. Caselaw: Forest Grove v. T.A. 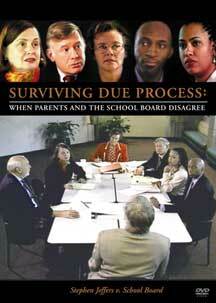 In 2009, the Supreme Court issued a decision in Forest Grove School District v. T.A., a case about tuition reimbursement for a child who had ADHD, learning disabilities, and emotional issues, but was never found eligible and never received special education services from the school district. Get a highlighter and read the decision in Forest Grove. When you read the decision, you will find language that will help you. 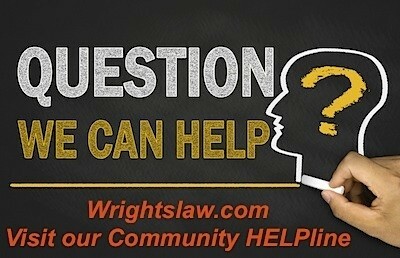 Wrightslaw Update: U.S. Supreme Court remanded the case back to U.S. District Court, school prevailed, parents appealed again to Ninth Circuit, school prevailed. The parents appealed to the Court of Appeals for the 9th Circuit. On April 27, 2011, in a split decision, the 9th Circuit upheld the District Court’s ruling. In a strong dissent, Judge Susan Graber faulted the majority on several grounds. Quoting directly from the 9th Circuit’s original decision, she noted that it was undisputed that T.A.’s parents placed him in the private program for reasons related to and unrelated to his disabilities. The District Court’s decision was not supported by the record. 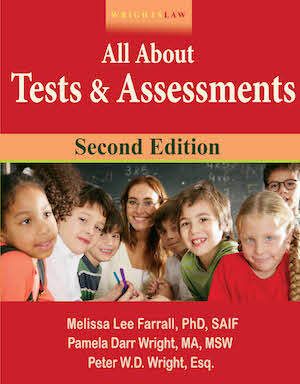 You need to get a comprehensive psycho-educational evaluation of your child by an expert in the private sector. After the evaluation, the evaluator can describe your child’s disabilities and their impact on his ability to learn. The evaluator can also describe what he needs in an educational program, and what will happen if the school refuses to provide the needed help. A parent-school battle may be brewing. 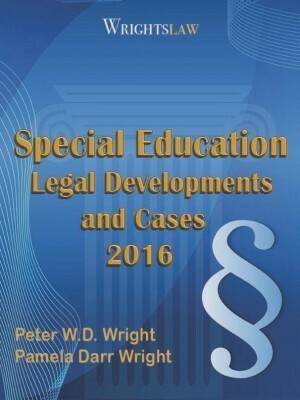 I suggest that you attend one of our Special Education Law and Advocacy programs or get the Multimedia download version of the training. 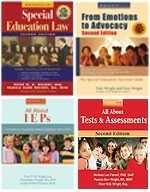 This entry was posted in Accommodations & Modifications, Child Find, Eligibility, Independent Evaluations, Special Ed Law, Strategies, Tests & Assessments and tagged anxiety disorder, Child Find, diabetes, Eligibility, Evaluations, Forest Grove, Grades, IEPs, Medication, processing problems, Specific Learning Disability by Wrightslaw. Bookmark the permalink. My child, with anxiety, severe sensory processing disorder, pdd-nos and other issues has been repeatedly denied iep and/or 504 services because he “is not in need of special education, just related services, so he is not disabled”…even though he has ssi and requires specialized in-home therapy. What can I do? Some children do receive related services (like speech therapy and/or physical therapy) but are not eligible for special education services. 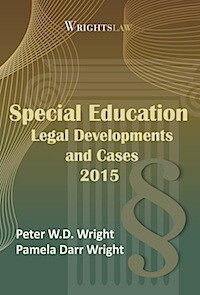 A child with a disability is not automatically eligible for special education under IDEA. The key phrase is “who, by reason thereof, needs special education and related services.” Eligibility is not disability-specific. 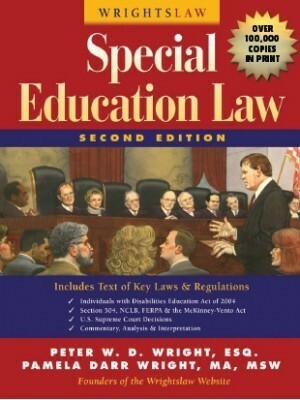 Does your son have a disability that “adversely affects educational performance?” Read the definition of “child with a disability” (page 49-50 in your law book). Follow the data. What data do you have that indicates your son “needs” special education services? What do you have that shows his educational performance is adversely impacted? What data does the school have that indicates your son does not need these services? 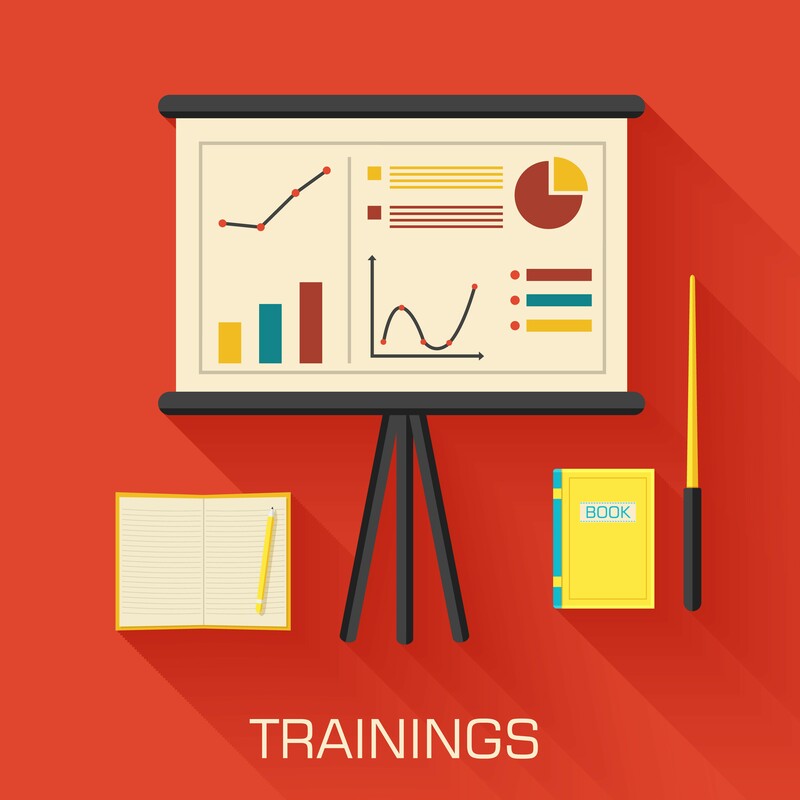 Sandy: You need to get a comprehensive psycho-educational evaluation by an individual in the private sector, preferably an evaluator who has worked as a school psychologist or is familiar with the eligibility requirements in your state. 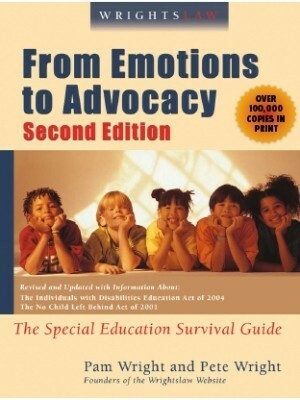 The Individuals with Disabilities Education Act, the federal special ed law, has never said a child must be “doing poorly” or failing before the child can be evaluated for special ed – quite the contrary. “Child Find” requires school districts to identify, locate and evaluate all children with disabilities, regardless of the severity of their disabilities. 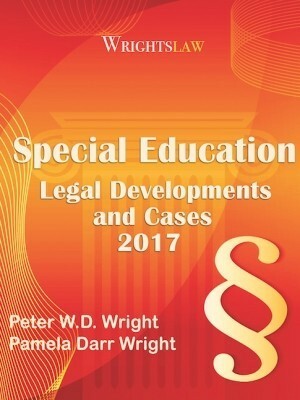 This obligation to identify all children who may need special education services exists even if the school is not providing special education services to the child. Both of my children have been denied IEPs even though they have diagnoses, but they have both been on meds, and “aren’t doing poorly enough to warrant special education”. One has Disorder of Written Expression, Anxiety, and ADHD. The other has Asperger’s and all that goes along w/ that diagnosis (ADHD, OCD tendancies, sensory issues, feeding issues, etc). No services for either child. The amendment to the ADA, effective January 3, 2008, says that the use of medication does not nullify the fact of a disability if the disability would exist without the medication. Of course, Special Ed is based upon impact, but at least the definition now supports the discussion. Kids grow out of their dosages. Meds wear off during or after school hours. Meds become ineffective and, just when you think you have figured it out, hormones kick in. Eligibility facilitates monitoring and communication and should support the school’s 24/7 learning cycle for the child with a 24/7 disability. Effective meds might affect the level of services, but they should not, in my opinion, affect the fact of eligibility.